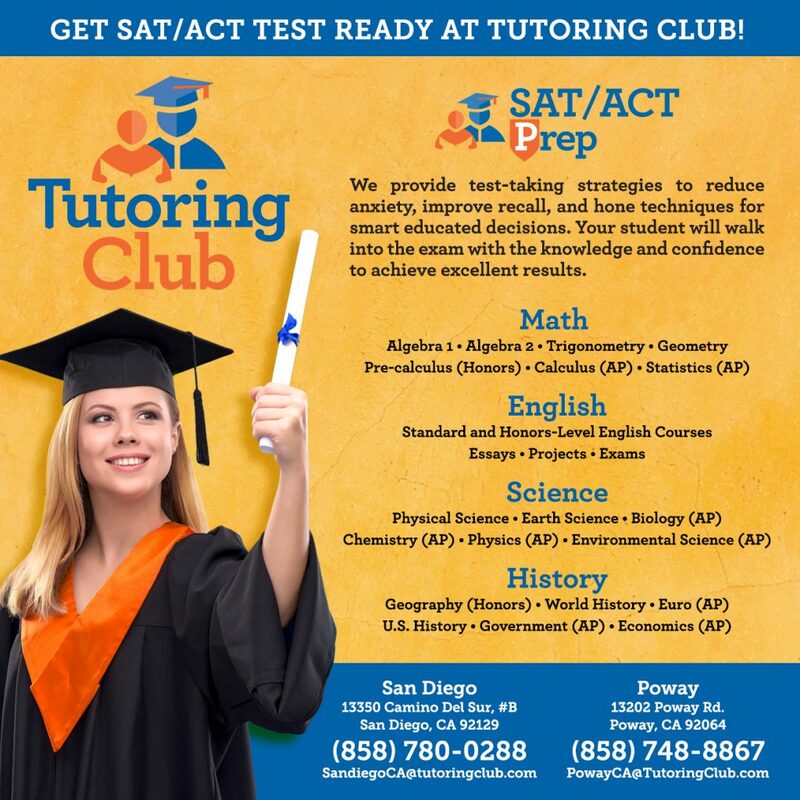 At Tutoring Club of Poway we will help your child on their way to success regardless of their skill level, proudly serving Poway, Scripps Ranch, Mira Mesa and surrounding areas. Whether the student needs help with the fundamentals, math, reading, writing, or even SAT & ACT, ISEE, CBRE and GATE Test Prep, our tutors will get them pointed in the right direction with all the guidance that they need. Our individualized approach targets the student's weak points and improves upon them, bringing their ability up to the set goals. By covering key points at the student's own pace, we allow them to flourish and learn at a stimulating and awarding rate. 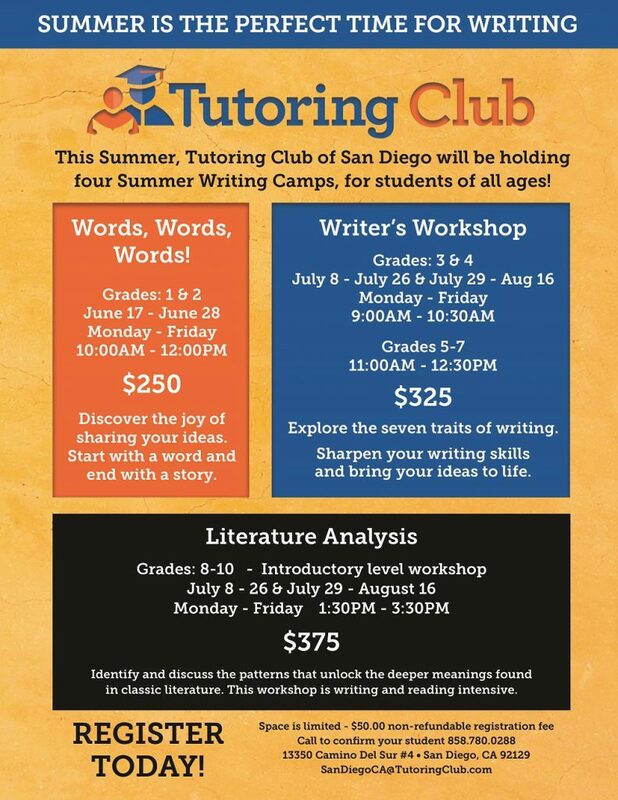 Tutoring Club provides the setting and expertise to develop and retain reading, writing, and math skills over the summer. Summer tutoring sessions can help a child return to school in the fall with increased confidence, and a greater likelihood of quickly picking up and even moving past the academic level they were at when summer began. Tutoring Club of Poway is proud to have Lucy Bjerling as its current Director. Lucy brings over ten years of education experience and loves working with students of all ages. She is a mother of two and is originally from Santa Monica, CA. She began her career in Education as a teacher, which is where she realized she could make a significant difference through mentoring students. Lucy takes pride in helping kids achieve their goals in whatever they are pursuing. Her long lasting relationships in the Escondido community make her a huge asset to Tutoring Club. She has her Bachelor of Arts Degree in Interdisciplinary Studies, and attends educational seminars to further her knowledge in curriculum.